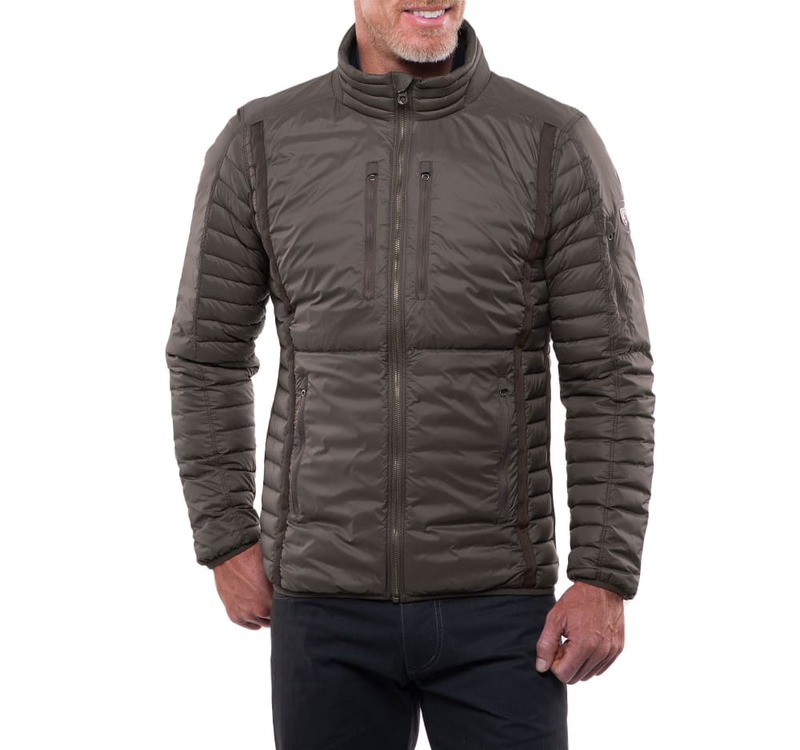 One look at the KÜHL SPYFIRE™ ULTRALIGHT DOWN JACKET and you'll realize it's different by design and construction than any other down sweater that has come before it. The SPYFIRE SERIES combines unique fabrics, precision design, and thermal body mapping to deliver technical performance and unparalleled style. 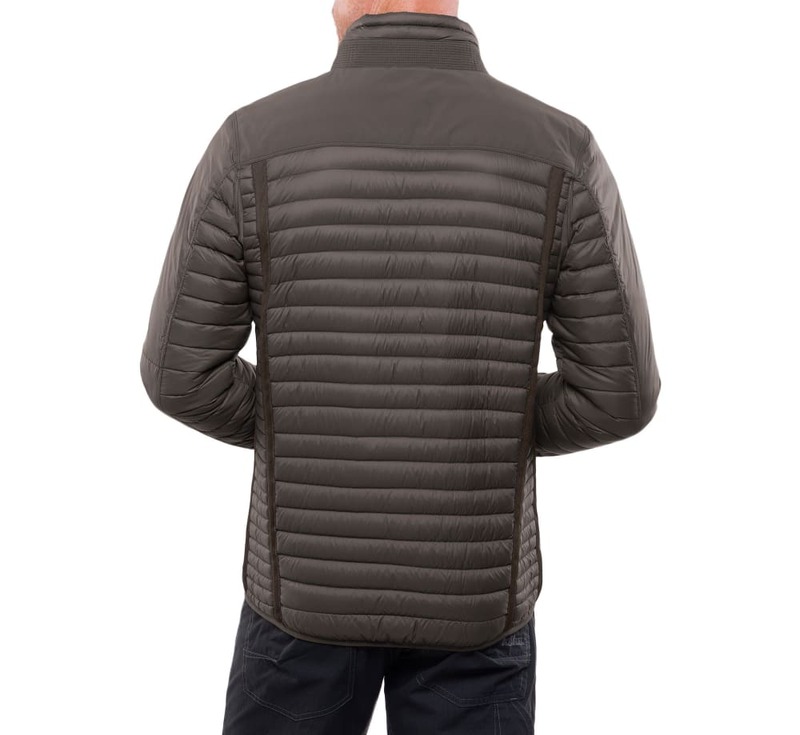 Double Layer shell fabric for added durability is strategically placed on the front body panel. 2 ZIPPERED CHEST POCKETS allows you access while wearing a pack. 2 ZIPPERED HAND POCKETS to secure your gear. 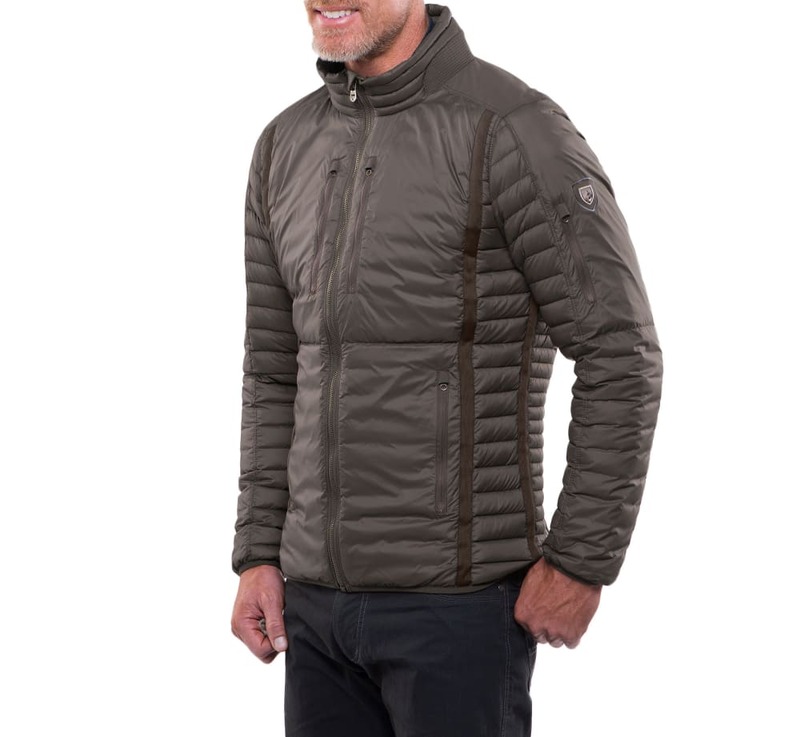 The soft shell reinforced fabric on the shoulders allows you to carry skis or equipment with sharp edges.